Joseph II of Austria died at 48 in 1790 AD, just before the French Revolution. 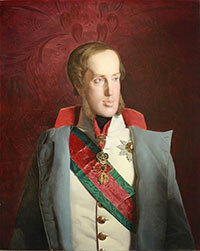 His younger brother Leopold II took power. The new French government arrested their sister Marie Antoinette, the Queen of France, and Leopold soon led Austria and Prussia into war with France. When Leopold died at 44 after ruling only two years, his son Francis II took over Austria and the war with France. Spain, England, and Russia fought France too: all the kings and queens were afraid that equality might spread to other countries. In 1796, Napoleon attacked them back. He invaded Austria in 1806. That was the end of the Holy Roman Empire. Napoleon took lots of money from Austria and sent it to France. But by 1812, the alliance had defeated Napoleon. Francis got back into power in Austria, but Austria was much weaker and poorer than before. 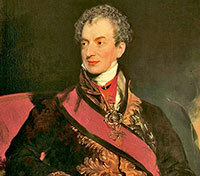 Like Ferdinand II in Spain, Francis and his minister Metternich were scared of revolution. There was no more freedom of speech, and no more talk about equality. They had spies everywhere. Francis died of a fever in 1835, and Metternich ruled in the name of Francis’ disabled son Ferdinand I. But in 1848, Austria had a revolution anyway. The revolutionaries put in a new ruler, Francis’ nephew Franz Joseph – but power lay with Franz Joseph’s mother Sophie. Sophie couldn’t have cared less about the revolution or democracy, but she did free people from serfdom again. Many farmers were able to move to the cities and work in new modern factories. Meanwhile, the French emperor Napoleon III sent Sophie’s other son, Maximilian, to Mexico as emperor there. In 1866, the newly formed Germany (under Bismarck) invaded Austria. After that Austria had to do pretty much whatever Germany wanted. 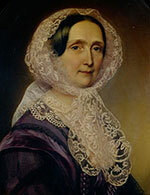 Sophie, broken up over this defeat and the death of Maximilian, retired (she was in her 60s). But things only got worse for Austria under her son. 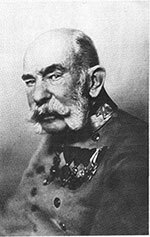 Franz Joseph lost his land in Italy when Italy united into a new country. Greece broke away from the Ottoman Empire to become a country. Hungary began to think that they, too, should have their own country – a democratic country! In 1914, Serbs who thought they, too, should get an independent country killed Franz-Joseph’s heir, the Arch-Duke Ferdinand. Austria declared war on Serbia, and Germany and the Ottoman Empire joined in as Austria’s allies. Serbia called on her own allies – France, Italy, Britain, and Russia – to defend her, so they too entered the war. Britain and France forced their colonies all over the world to fight with them, so India, Thailand, and Australia had to fight alongside Serbia. Eventually even China, Japan, Brazil, and the United States got involved. That’s what made this war into World War I. Cite this page: Carr, K.E. Austria-Hungary in the 1800s. Quatr.us Study Guides, August 5, 2017. Web. April 20, 2019.